My son recently expressed an interest in learning my craft, so I jumped at the chance to fill him in on the details of some of the fine points of my 42 years of experience. 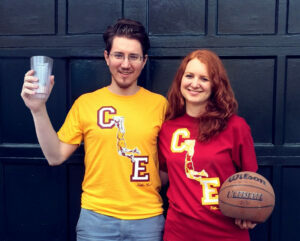 He is into the CLE idea, so we made some etched glasses, which in turn inspired a fun T-shirt. And some ornaments to boot. Then the process of where to sell all of this new merchandise became a job itself. Holiday craft shows of every level of expertise, from selected juried shows, to neighborhood shows where fruits and vegetables were the main draw! It has been a changing scene each week, going to the different craft venues, and seeing how the work fits in to people’s desires, and hopefully brings home the results that help pay for our weekly experimentation. 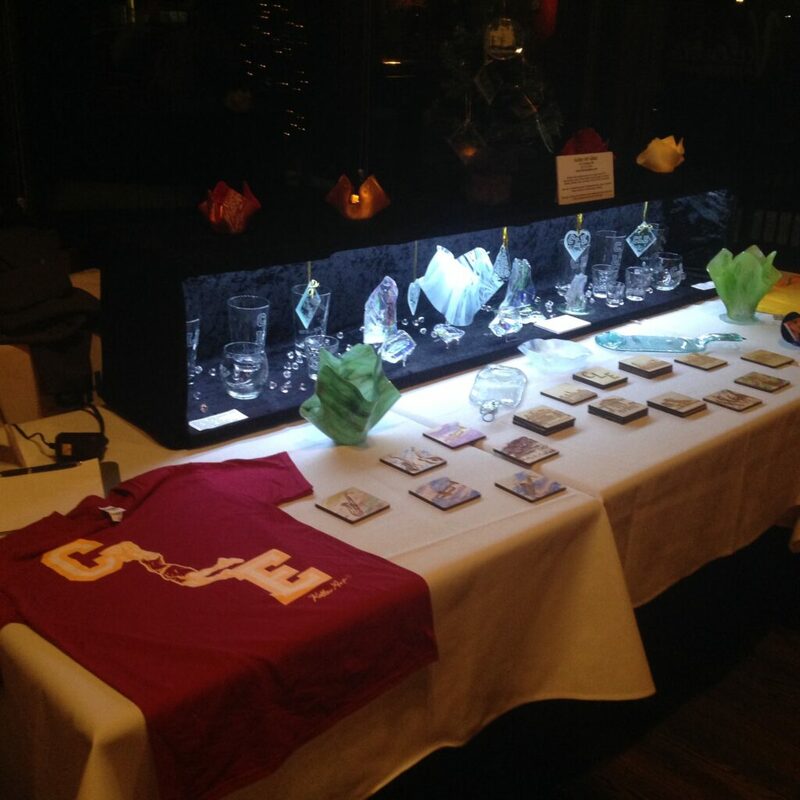 Here’s a picture of the table setup.